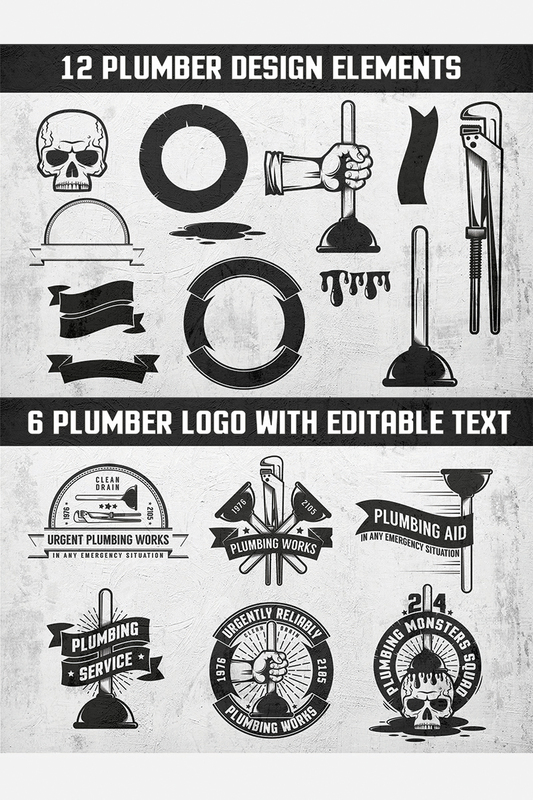 ï»¿6 original plumbing logos made in retro style, and 12 separate elements for the construction of logos. Worthy of application on any surfaces. Real plumbers will like these emblems. 6 monochrome logos. Vector AI CS6, EPS10 and raster layered PSD, JPG files. AI CS6 and PSD files with editable text. 12 design elements. Vector EPS10 and raster separate PNG files.